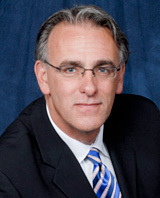 Mick Raich is a nationally recognized consultant in the business of Pathology. Mr. Raich’s thirty-two year career in the healthcare industry has included direct patient care and hospital management. Mick is the Founder and President of Vachette Pathology, a nationwide consulting and management firm that assists laboratories, private and academic pathology practices, hospitals, and health systems groups. Mr. Raich’s expertise includes pathology billing, compliance, outreach, management, marketing, revenue cycle management, strategic and financial planning, contracting, business development and the sales of pathology practices. This entry was posted in Associates on February 12, 2014 by admin.